I feel like I should tell you that I'm a total type-A, list-making, everything in its place kind of girl; but I'm also a recovering perfectionist. Life is just too short. I do believe that organization, cleanliness and beauty are essential in creating the type of home that I dream about creating for myself and my family, but I've certainly pushed the boundaries of unhealthy expectations and routines in order to do so. Mostly it just made me miserable. And probably everyone around me too. Today I'm linking up with Shay and Erika about tips and tricks for cleaning and organizing- I love new ideas! Can't wait to read them all! I am fairly ruthless about tossing unnecessary items, as well as not bringing home things that I don't truly want or need. (Just don't mess with my TP or eggs...ha ha, that sounds awful!) It hasn't always been this way, but I'm glad I've learned to pass up things that catch my eye temporarily but that I would just tire of in the long run. I'm not a minimalist, but I've adopted some minimalist-type mentality, and both our home and bank account have never been happier, ha ha. So my biggest organizing tip is this: be very selective about what you bring into your home in the first place. It seems like forever ago since I wrote this organizing post while in our previous home! It ALWAYS gets worse before it gets better, right?? I know lots of people rely on buying items in bulk and they say it works great for them. Well it doesn't for me. I don't need a warehouse-sized supply of spices and paper towels and hand soaps and detergent; in fact, that much excess of anything makes me a little nauseous. I keep 1-2 extras on hand, and I purchase replacements as necessary throughout the year. 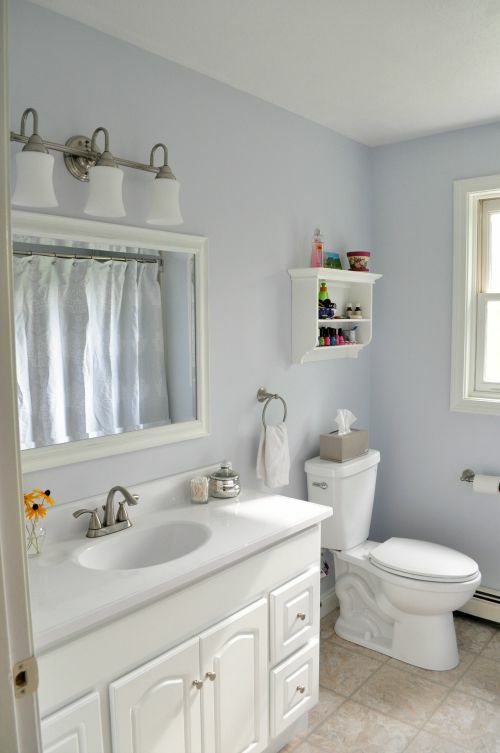 In the bathroom, we have a few plastic containers on the shelves that are dedicated to specific purposes: dental, medical (cough/flu, upset stomach), a second medical (band-aids, ointments), and summer things such as ear plugs, swimmers ear drops. Having them in clear bins makes it so easy to see what's there, and what needs replacing. It also makes it a snap to simply pull the needed container from the shelf, grab what we need, and put it all back. I love that! I tend to group like items in boxes and bins in other closets and storage areas as well, from winter hats and mittens to cleaning supplies and small tools, and everything in between. 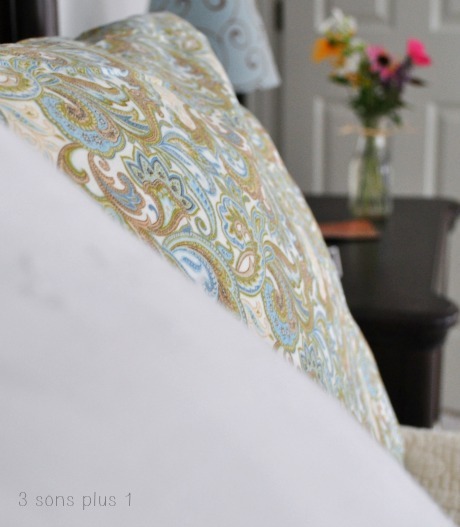 Lastly, while I love the idea of Spring and Fall cleaning, and I used to dedicate huge amounts of time tackling a never-ending list, I've become much more comfortable with the idea of an ongoing cleaning schedule. I think it's a preference thing, but this works so much better for me in this stage of life. I really do not need one more thing making me feel overwhelmed! I tackle jobs around the house- and delegate help too, that's super important with older kiddos!- on a monthly basis and that keeps this ship running pretty smoothly. 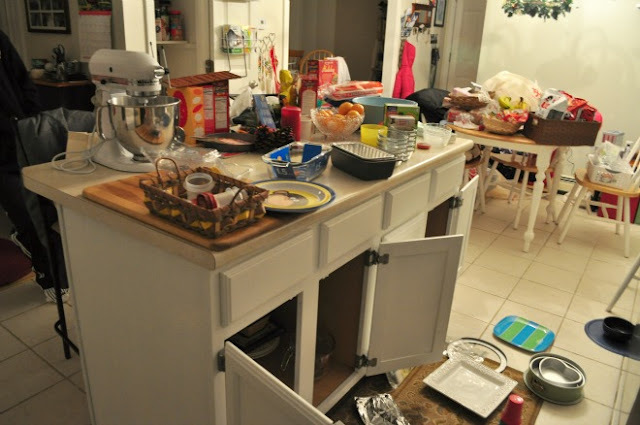 Life isn't perfect, and neither is my house. That's okay. When we have the things we need, and our space is clean and comfortable- not perfect- then I feel content. 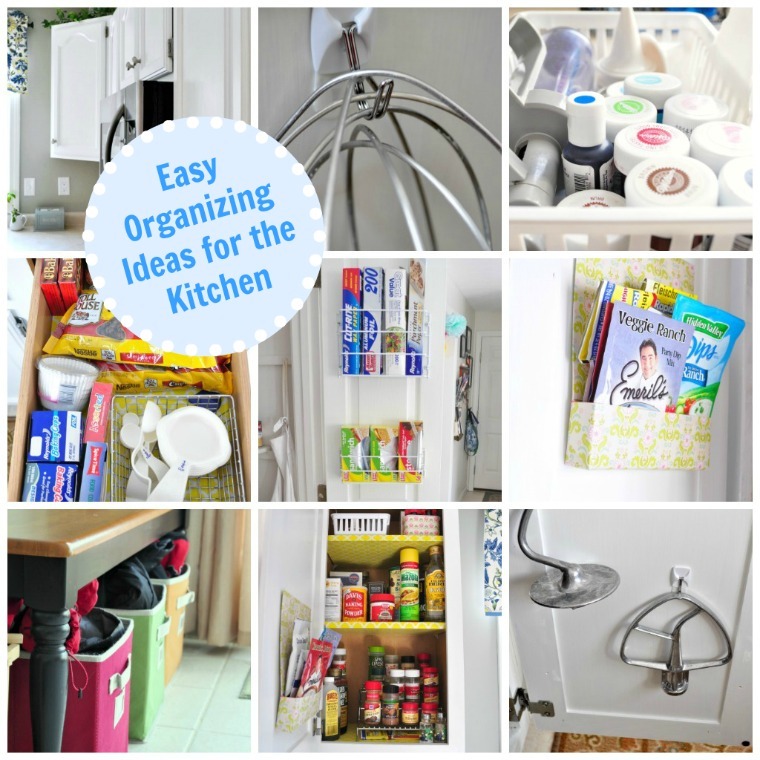 Here is another post about organization I wrote a while back with lots of tips and tricks. Thanks for reading! I'll be back tomorrow with all the details about Levi's Cars, Trucks & Tractors 2nd Birthday Party!